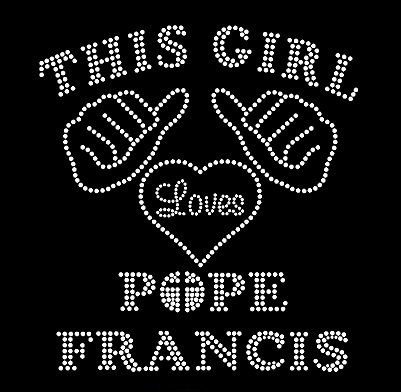 We at Sparkle Plenty Designs L♥VE POPE FRANCIS and we’re excited to celebrate his arrival to Philadelphia with these LIMITED EDITION rhinestone shirts! 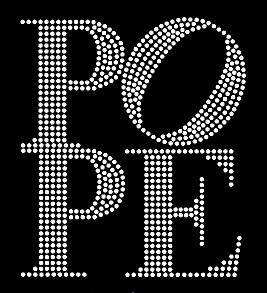 A portion of proceeds from the POPE tees (and very shirt we make) supports a variety of charities to help (fight) Hunger, Children, Veterans & Animal causes. 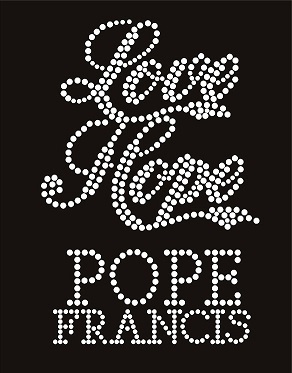 Be sure to visit us on FACEBOOK tomorrow for a chance to win one of these FABULOUS sparkling tees! 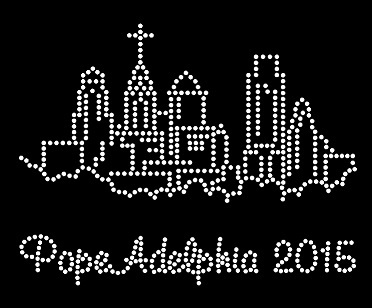 This entry was posted in best in philadelphia, best in philly, custom bling, rhinestone tees, sparkly rhinestone shirts, Uncategorized. Bookmark the permalink.